Peerless manufacturers low cost, free ﬂowing, oil and moisture free, cold worked Iron and Steel aggregates for ballast, high density concrete, grout, and other applications. Higher density of 7.8 gm/cc vs. 7.0 gm/cc for steel shot. Reduced slump due to the aggregate particle shape. A lower cost per ton purchase price. Custom blended to any weight per cubic foot. Our steel aggregates can be custom screened to your needs. Some common sieve sizes are minus 3, 4, 5, and 6 mesh. We can ﬁll your needs from one ton to thousands of tons. 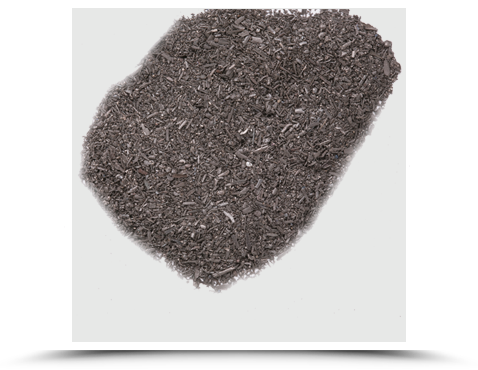 For technical assistance, help with size selection or other requirement assistance, please call Peerless Metal Powders & Abrasive: 313.841.5400.